Research by SuperOffice finds the top benefits businesses said they hoped to achieve using a customer relationship management (CRM) solution were: improve customer service (74%), improve customer satisfaction (66%), improve customer retention (56%), increase sales (54%), generate new business (53%), share and distribute data (48%) and market products/services more (37%). As with these businesses, bankers also want to track their customers and market to them more effectively. 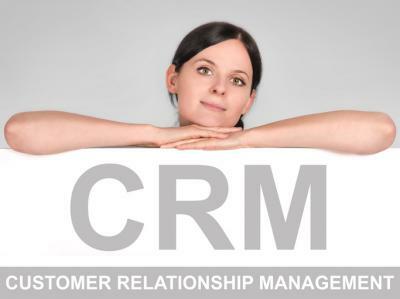 That is why CRM solutions have grown over the years. Although the financial industry has lagged other industries in some cases, that may soon change. That's because JPMorgan, one of the giants in the industry, is starting to use CRM for more customized customer interactions and other banks may soon follow. JPMorgan has just introduced a customer management system that has an analytics overlay for wealth management clients. That change allows staff to use customer profile information, including past business at the bank, while interfacing with the customers directly. This is akin to Amazon's "recommendations" based on buying behavior. If JPMorgan finds it useful who knows what is next. This approach will reportedly allow JPMorgan staff to identify areas of interest for their clients and tailor products and services accordingly. That is what clients say they want in survey after survey, so if it works it could be pretty powerful. One area included in this will allow JPMorgan staff to be more helpful at providing trade, investment and other strategies, based on analytics. This is projected to shorten the sales cycle, increase customer loyalty and make business more efficient overall. In addition to this customization, it is believed that there will eventually be a mobile component for customers as well. Now more than ever perhaps, JPMorgan may be in the right place with this approach. The demographics are changing, so it might be time to revisit the tools your own bank uses when interacting with your customers. Asking such things as whether a given software tool is still robust enough, looking at the data customer facing staff can mine from it, matching up the results of any analysis with customer needs, and a host of others can make sense. Your bank does not necessarily have to always follow the latest tech trends, but this one is a deeper shift it appears so keep an eye out for future developments here. If you do, you will be in good company. After all, Bank Director research finds "customers" are one of the top 7 themes for banks in 2017. Banks say they want to deliver important customer experiences tailored to their needs. Along the same lines, "providing positive customer experiences" ranked as the #1 trend in a 2017 Retail Banking Trends and Predictions report. As such, look for banks to keep fine-tuning their customer databases. If you are looking for ways to mine your customer data for more efficiencies and greater customer relationship understanding, there are a couple of important things to consider. 1) How profitable are your customers? Knowing how to determine your customer profitability is critical these days, as some easily move around to find the best rates. This may not be an issue if you know these customers are the least profitable for you. 2) How can you leverage your current customer relationship to add more value with additional products/services? You may not have realized that one of your favorite customers only has one account with you. Knowing this, you could think of other services that may provide value for your customer, add income for your bank and strengthen the business relationship for both of you. There are many ways to use your customer data and more ways will most certainly arise in the future. In the meantime, to get going faster, we have experts available to help guide your bank along this path should you need it. Yields jumped up 5bp as investors anticipate tomorrow's optimistic employment report and foresee a stabilized global market as the ECB left rates unchanged. This is a national security issue, so bankers need to take extra steps to ensure compliance. Fed research finds BSA/AML risks increased in states that have legalized cannabis. Banks should expect BSA/AML-related criticisms at examinations most often related to internal controls (e.g., institutional risk assessments; customer due diligence, including customer risk assessments; and suspicious activity monitoring programs). Concerns related to weak program oversight and ineffective independent tests are also emerging as examination themes. A Deloitte survey of large banks on CECL finds 90% agree stakeholders involved will include credit modeling, finance, risk, compliance, IT, financial reporting and capital stress testing groups. A survey of small businesses by PaySimple finds the biggest revenue hurdles expected this year are: growing revenue (38%), improving cash flow (27%), increasing profit margin (17%) and raising capital or funding (6%). Bank of England research projects 80mm US jobs could be lost to technology automation and that economists may be underestimating the speed and progress of these technological changes. A Deloitte survey of 300 executives finds the following results when asked where reputational risk responsibility resides: CEO (36%), CRO (21%) and Board (14%).